The excellent 2017 vintage has provided a welcome reminder of the heights white Burgundy can hit. While it is tempting to focus on the “great” years such as ‘14 and ‘17, however, we have also experienced a succession of good-quality vintages in recent years, each of which possesses its own unique character. With winemakers working hard to tackle the issues thought to have caused the phenomenon of premature oxidation (premox), there has been a consequent increase in the prevalence of alternative closures to natural cork. Our good friend Benjamin Leroux has taken the bold step of moving to screwcap for all whites since the 2014 vintage, while numerous others – amongst them De Montille, Olivier Leflaive and Jean-Paul & Benoît Droin – are now using DIAM corks with very positive results. The result is much greater reliability and consistency than we saw 10 or 20 years ago. With a nod to the premox issues of the recent past, it is advisable to drink any wines from before 2010, although there will be some excellent wines from higher acid vintages such as 2008 and 2007, and the best 2009s will offer a great deal of pleasure. The 2010 vintage was generally very well-balanced, but some wines do display a little more softness and exotic character and should be drunk within the next 18 months. As for 2011, its reputation for Chardonnay has grown from an inauspicious start, and the wines are showing well now but have limited scope for improvement, so should be enjoyed now and over the next year or so. The 2012s are concentrated wines. They initially felt quite fat and ripe, but have gained finesse and should continue to hold for a further couple of years at least. It would be better to tackle the ‘13s now, although the complexities of the vintage and variety of styles produced means this is an inexact science. The early-picked wines are on the leaner side, while those harvested later show signs of exotic fruit. Neither style has the potential for serious ageing, so it would be best to drink these while waiting for the ‘12s and ‘14s to come around. The 2014 vintage is arguably the best for white Burgundy in living memory, and many of the wines can feel aggressively austere at the moment – I would recommend forgetting them for at least another five years, as even village and some regional-level wines will benefit from further time in bottle. An extensive tasting of almost 250 2015 whites last summer showed the strength of the vintage in this colour. While there is undeniably more ripeness of fruit than in 2014, which makes the wines appealing even at this young stage, there is also plenty of balancing acidity that will provide decent aging potential. There’s no great rush, but they offer enjoyment now. Amidst the talk of frost in the Côte d’Or, it escaped many commentators’ attention that 2016 is an excellent vintage in the Mâconnais, and I would recommend holding back some Pouilly-Fuissé, St Véran and Pouilly-Vinzelles wines from good producers, as these are on a par with the 2014s. In Chablis, recent short vintages may force one’s hand into drinking 2016s, but there should be no disappointment with these wines, which offer a classic profile in an approachable style. In the Côte de Beaune, those wines which had suffered from frost damage should now have settled down a little and it is worth approaching regional and village wines, but there’s no hurry. The Côte d’Or 2017s should not be arriving until spring 2019 at the earliest, and I would certainly recommend leaving them for a while; while the perfect balance and charming fruit might seduce one into pulling the cork, there is much to be gained by allowing them a few more years in bottle. Chablis 2017s have the potential to sit on a par with the great 2014s, and arguably possess greater balance and a little more charm, so if stocks allow, they should be forgotten for a few years at least. In the Mâconnais this vintage displays a softer style than 2016, and consequently should be approached ahead of its predecessor. The 1999 vintage, now almost 20 years old, is one of the best red vintages of the turn of the millennium. While these wines should be enjoyable now, the very best examples still have time on their side, the top sites and most serious growers having limited yields to ensure concentration. During our autumn barrel tastings many growers drew comparisons between the 2017 vintage and ‘00, explaining that both vintages gave wines which were approachable in youth, with harmonious balance and a red-fruit profile. Many of our vignerons opined that like ‘00, the ‘17s would likely drink well throughout a 15- to 20-year lifespan and would not “close up” at all. For the ‘00s, we are now coming to the end of that expected lifecycle, and I would agree that the wines should now be drunk up. Its successor, ‘01, has long been a favourite of mine, often somewhat reticent when first opened but unfurling nicely with air to give wines which are full of charm, if not possessing much potential for improvement. A recent horizontal tasting of ‘02s in London showed the vintage to be one which is in a good place now, but which was perhaps less exciting and likely to improve than we had anticipated, though this was perhaps more a reflection of our changing tastes and winemakers’ changing styles than the quality of the wines themselves. There was certainly a feeling that there was a little of the ‘90s hangover of over extraction and heavy oak use, and had these wines been made by the same winemakers in their modern style they would have given greater pleasure. That said, these are excellent wines for drinking now and over the next few years. The ‘03 and ‘04 vintages are somewhat yin and yang: the former offering a rich and spicy style, the latter leaner and more herbaceous in character. While the ‘03s are likely to plateau, both they and the ‘04s should be drunk now; they offer a fascinating glimpse of the variety of Burgundian Pinot Noir. In contrast, the ‘05s should still be forgotten, the tannic structure remaining firm and a little unyielding; this is a grand millésime and should be respectfully left dormant for another five years at least. The trio of vintages after ‘05 sit firmly in the “drink now and over the next year or two” category, before we arrive at ‘09 and ‘10, two vintages which can wait a little longer, although the fullness and lower acidity of the ‘09s makes them more forward. The ‘11s should arguably be broached before either, however, and the best examples have shrugged off the herbaceous notes they had in youth, giving pleasant, middle-weight wines which give great pleasure at the table. Recent personal experience has shown that any reduction on opening a bottle can be swiftly cleared by briefly decanting. The 2012 vintage is another strong one. While the regional wines are very enjoyable, more serious appellations are a little firm and closed, requiring patience. Both ‘13 and 14’ are energetic, with good levels of acidity but relatively modest structure. 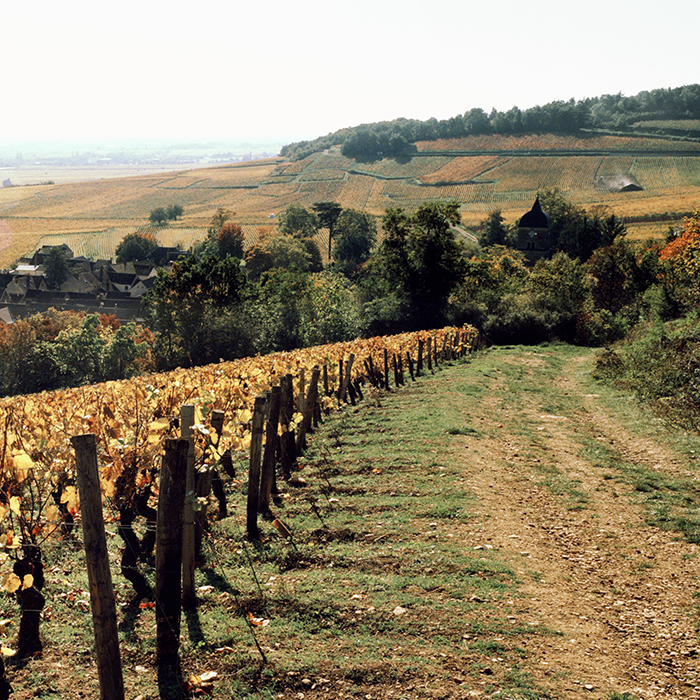 It is a sad indictment of Burgundy’s restaurant scene that both are amongst the oldest vintages available on the wine lists of the region’s many eateries – along with a shamefully high number of ‘15s and even ‘16s – but fortunately they are vintages which are perfectly suited to the table, pairing effortlessly with a variety of dishes and never feeling excessively heavy or too much like hard work. The ‘15 and ’16 vintages should both be left to sleep for some time. While ‘15 was a real crowd-pleaser, ‘16 is perhaps the connoisseur’s choice, offering greater finesse and elegance. Last spring’s review of ‘15s for the annual Burgfest tasting showed many wines on the point of closing up, and the majority are likely to now offer little pleasure for some years as they lie dormant. The Beaujolais merits mention in this roundup, with the best wines offering as much ageing potential as many of the grander names of the Côte d’Or. While 2017 appears to be an excellent hybrid of the rich ‘15s and crunchy ‘16s, it is but the latest instalment in a series of excellent years stretching back to ‘09. Particular highlights for drinking now include the fleshy and dark-fruited ‘12s, and more vibrant and slender ‘13s. 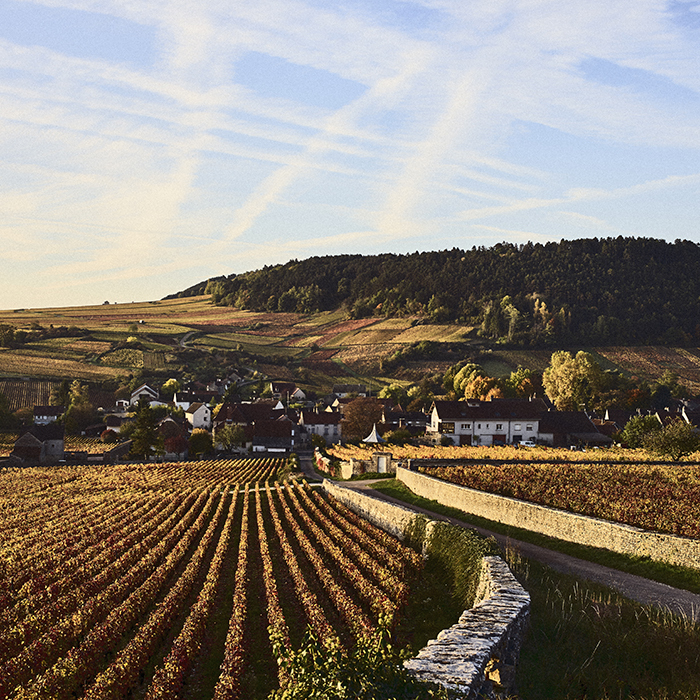 Two less-favoured Burgundy vintages – ‘11 and ‘14 – are strong years further south and can be cellared with confidence, while the rich and dense ‘15s certainly need more time than the more delicate and approachable ‘16s. Read the rest of our “what to drink in 2019” series here or shop our Burgundy range on bbr.com.